Mayor Martin J. Walsh plans to announce Wednesday the details of the Boston Public Schools’ $13 million effort to replace old furniture in city schools. Mayor Martin J. Walsh plans on Wednesday to unveil the details of a $13 million effort to replace decades-old desks, chairs, and other pieces of furniture in the city’s schools with modern pieces that are comfortable and can be moved around with ease. The menu of new furniture items that schools can choose from include ergonomic chairs, stools that rock in all directions, portable lecterns, and movable storage units. 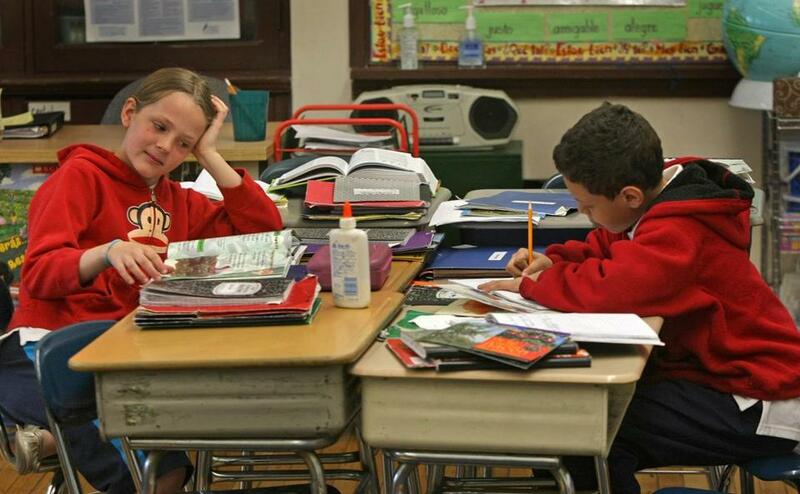 All 125 schools in the city’s system will receive a chunk of money. Distribution will be based on a formula that allots each school a minimum of $100 per student. That amount could increase, based on the condition of the furniture at a given school. Walsh’s push comes as a growing number of schools across the state have been bringing in more flexible furnishings to adapt to new approaches to learning that call for students to break into small groups to work on projects. In many cases, the new furniture is coming into schools as part of construction projects. In other cases, teachers, including some from Boston, have turned to online crowdsourcing to buy such items as rocking stools, exercise balls large enough to sit on, and standing desks for their students. Teachers say allowing students to release fidgety energy by wiggling around on movable seating helps them to concentrate more in class. The poor condition of chairs and desks in many Boston schools has been an increasingly touchy issue since the School Department relocated 2½ years ago from downtown to a renovated building in Dudley Square. The new digs for administrators feature such amenities as ergonomic Herman Miller chairs, sleek Knoll work stations, European-style kitchens with blue refrigerators, and a rooftop garden with panoramic views of the city and trendy outdoor seating. A few schools, such as the Mattapan Early Elementary School and the Eliot K-8 Innovation School in the North End, have already tapped money from the fund to furnish some of their classrooms this fall. “We are excited that our facility investments will create a fun learning environment for our students and allow us the flexibility to meet their individual needs,” Walter Henderson, principal of the Mattapan Early Elementary School, said in a statement. Other schools, such as the Curley K-8 in Jamaica Plain, have begun soliciting input on furniture purchases from their teachers, staff, students, and parents. The school last week posted pictures of various chairs, desks, bookcases, and other items on Twitter in an effort to encourage parents to vote on their preferences at an upcoming open house.